A seascape with waves hitting the rocks. This picture follows the grain of the wood. 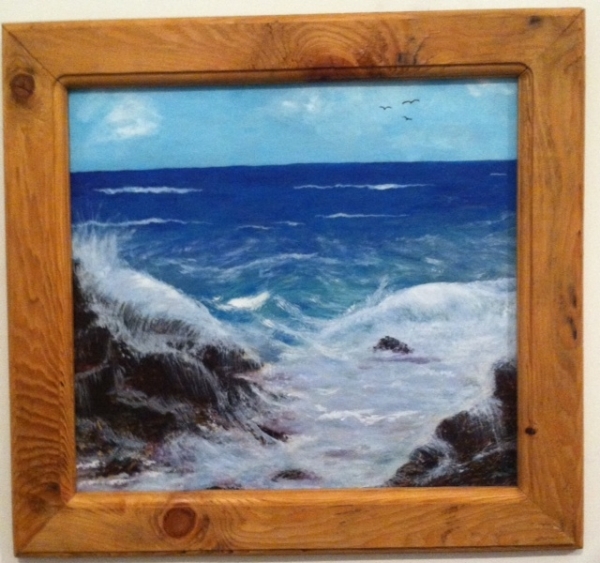 My dear husband made this frame for me and I saw this seascape in the grain of the wood. It had to be let out of its prison.